Growing up, James Hudec imagined himself on stage in New York or Chicago performing in broadway shows like Oklahoma and The Music Man. When it came time for college, he accepted a scholarship to study vocal performance. While in school, he noticed there were more people working behind the scenes than actors in the show. With this epiphany, the business and operations side of producing plays became more intriguing. He continued to study vocal performance but added a degree in business. He wanted to understand both the art and the mechanics of producing a well ran broadway play. When he wasn't learning how to run broadway shows, he was pursuing an old hobby he started before college - brewing beer. He lived above a bar, and in the garage of the building the landlord stored old dart boards and pool tables. This is where James would brew using old 10 gallon pickle crocks. His buddies stopped by to drink his beer and play pool in the makeshift speakeasy, leaving behind tips in a jar to fund the next batch of beer. When an assistant brewer position opened up at one of the first micro-breweries in Texas, Hill Country Brewery in Austin, James applied with the hopes of having a cool college job that would help him meet ladies. He got the job, and little did he know this scheme to drink beer and meet girls would change his career path. Over the next three years, James developed a true love for brewing beer. Weeks after finishing college, James learned of an opportunity to intern for a well-respected brewery in Nuernberg, Germany. 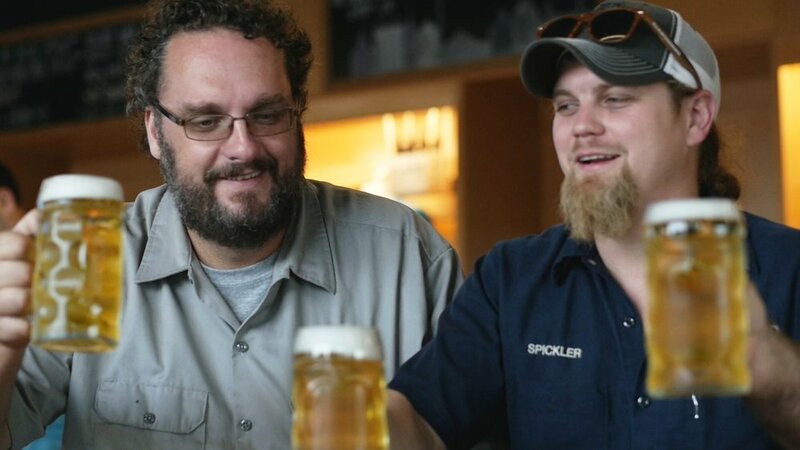 He decided to sideline his theater career, and move to Germany to pursue his passion for brewing beer. He spent the next two years in Germany as an apprentice, learning the old ways of brewing, the true craft of beer making. Back in the U.S., he co-founded the Brenham Brewery in Brenham, TX. After four years of running the small micro-brewery, he moved on to play a part in rebuilding and growing three other breweries. Almost 15 years after his return to the U.S., he became the Brewmaster for Alamo Beer Company. James put his knowledge, nearly two decades of experience, and passion into designing Alamo’s new brewhouse from the ground up. While the craft beer industry continues to evolve, James’ passion for brewing the finest classic beers in Texas using hand crafted techniques from the old world has not. All it takes is a sip of a cold, freshly poured Alamo beer to experience the results of James' well orchestrated show playing out behind the scenes at the brewery.